There is considerable debate around New Zealand’s constitutional arrangements. Currently New Zealand’s constitution is written as individual acts of parliament, British acts of parliament, and passages within the cabinet manual but it can also be described as New Zealand’s political norms. This structure allows for great flexibility, but also means that constitutional changes can happen without public consultation or consensus, by a simple majority in the legislature. Three important debates around New Zealand’s constitution are whether or not to become a republic, the role of the Treaty of Waitangi in the constitution, and whether or not social, or second-generation, rights should be included in a constitution. These issues are all currently addressed by New Zealand’s current constitution depending on how one defines the constitution. Herein lies the problem; there is no template that a supreme, entrenched constitution would allow the executive to work within, binding the government to make decisions in the best interests of all New Zealanders. An entrenched, supreme constitution would ultimately strengthen the debate between government branches, and limit any erosion of the rights of all New Zealanders. Although New Zealand is currently a constitutional monarchy, due to European colonisation, it is now almost completely independent from the British Crown. From the mid 1940s, after World War Two, through to today New Zealand has distanced itself from its colonial past, and away from the British monarchy (Iati, 2015). New Zealand has made significant changes to its parliamentary system, moving away from the British Westminster model, abolishing the upper house of the legislature in 1951, and adopting a proportion representation voting system, Mixed Member of Parliament (MMP) in 1996 (Cox & Miller, 2010). Important changes internationally also help explain the drift from “mother England”. The United Kingdom distanced itself from its former colonies, and played a bigger role in European politics and economics, indicating its desire to enter into the European Economic Community (EEC) in the early 1960s, and finally joining the EEC in 1973 (Iati, 2015). Until this point Britain had been New Zealand’s major trade partner; New Zealand exported most of its goods there. In recent years New Zealand has established free trade agreements with China and recently negotiated with other trade partners to ensure Trans-Pacific Partnership will be enacted. New Zealand’s shift away from the role of the monarchy in its decision making processes, and the shift in trade relationships has meant it has developed its own independent policies, without relying on the British monarchy. Therefore, even though New Zealand remains a constitutional monarchy, the monarchy only plays a minor part in New Zealand’s parliamentary processes. The governor general is the Queen’s highest representative in New Zealand, and does most of the day-to-day royal duties, although there is some debate around the appropriateness of the monarchy preforming this role. The role of the governor general is to assent bills to become law and to establish and dissolve governments after an election (G. Palmer & Palmer, 2004). Although Whelan and Cook (1997) argue that replacing the governor general with an elected representative, and establishing a republic is as easy as creating a new act within the Parliament, the royal protocols and procedures are deeply seated in the New Zealand political system. In contrast, Palmer and Palmer (2004) argue that it would be a detrimental for New Zealand if an elected official were to take the place of the governor general because there is a precedence of absolute neutrality of the monarchy. From a purely pragmatic perspective, a characteristic of New Zealand’s political culture, Chen (2010) asks what would be the point of replacing the role of the governor general with an elected official if the role is essentially the same. Perhaps the group with the most at stake in a move to becoming a republic are Māori. Any inherent rights under the Treaty of Waitangi were made as an agreement between tangata whenua and the crown, and these would need to be reaffirmed in any constitutional reform (Mahuika, 2010). 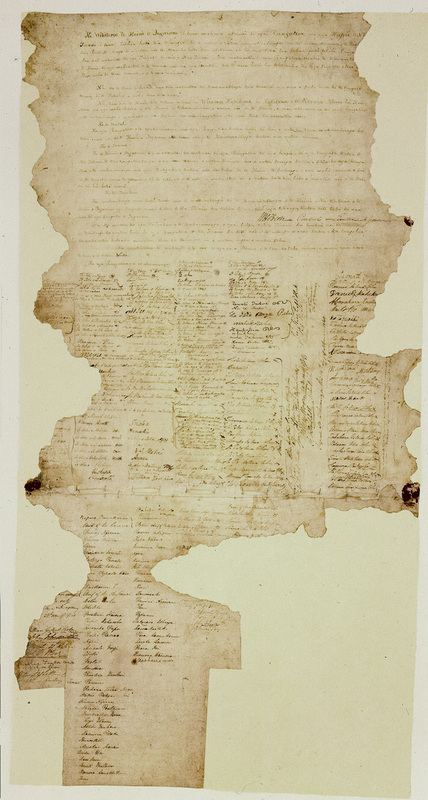 The Treaty of Waitangi/Te Tiriti o Waitangi (1840), although arguably the most important part of New Zealand’s constitution, has many points of contention. The treaty itself is composed of preamble, followed by three articles; each article is one long sentence. The translation of the treaty is different for both languages. In the English version of the treaty Māori cede sovereignty to the British, however, in the Māori version, Māori cede kawanatana or governorship to the British crown. More confusingly, the second article of the Māori version of the treaty allows Chiefs to retain tino rangatiratanga “over their lands, their villages and all their treasured possessions” (Mutu, 2010, p. 25), which can be translated as trusteeship, but also is akin to the highest authority. Mutu (2010) argues that this difference in language can also be explained as different intentions in creating and signing the treaty; Maori wanting protection from unruly European settlers, and the British wanting sovereignty over New Zealand. The Treaty of Waitangi Act 1975 set up the provision for the Waitangi Tribunal to look at Māori grievances with regard to past land confiscation and other breaches of the Treaty of Waitangi by the Crown. More recently, the Treaty of Waitangi has been interpreted in different ways. David Round argues that the Treaty of Waitangi should not be included in any constitutional framework, because the decision of where taxpayers money could be spent would involve also involve judiciary. In contrast, Geoffrey Palmer, former New Zealand prime minister, who unsuccessfully attempted to create a supreme law constitution which included the Treaty of Waitangi in 1986, mentions that the Treaty has great constitutional importance, but is not even a legal document (Constitutional Advisory Panel, 2013). Furthermore, Palmer (1989) argues that both sides need to make concessions, and that specific interpretation of the Treaty isn’t as relevant as the necessity for the crown and Māori to work in partnership. Recent claims to the Waitangi Tribunal have had outcomes leading to co-leadership models, including the recent Waikato river settlement, which seem to support this partnership (Waikato-Tainui Raupatu Claims (Waikato River) Settlement Act 2010). Potaka (2010) puts forward some specific constitutional revisions that also follow this partnership model, including reintroducing a bicameral legislature with Maori sitting in one of the houses, or a multi-cameral legislature with a third combined “treaty-partners” (p. 95) house. Article three of the treaty gives Māori the full status of British subjects, but arguably socio-economic factors mean Maori can’t realise the benefits and privilege of British citizenship (Barrett & Connolly-Stone, 1998). What the social rights of a British citizen or Pākehā are, if any rights are indeed granted solely through citizenship, is another key discussion. Whether or not to include social, or second-generation rights, in a constitution is another important constitutional debate. Social rights are usually considered to be rights related to cultural or economic freedoms or the rights of an individual not only to be free from persecution, but also to flourish in society. The Universal Declaration of Human Rights (United Nations, 1948) took the first steps to establish civil and political rights, but also includes some second-generation rights including “…economic, social and cultural rights indispensable for his dignity and the free development of his personality” (art. 22). New Zealand is also a signatory to later multilateral United Nations treaties including the International Covenant on Economic, Social and Cultural Rights (United Nations, 1976) which strengthens the position of these social and cultural rights in New Zealand. Chen (2010) asks if New Zealand needs to update the Bill of Rights Act 1990, and what rights New Zealand would include in a supreme constitution, given New Zealanders’ strong opinions on property and access rights, citing the public debate that occurred around the foreshore and seabed review and the Search and Surveillance Act 2012. There is, however, some hesitation in adding full social rights to a supreme constitution, as the role and scope of the judiciary would increase, and they might not be have the expertise to address social constitutional issues (Chen, 2010). Gargarella (2011), when looking at Latin American constitutions, argues that adding social rights to constitutions gives more power to an unelected judiciary, and that there can be tension between the courts. In contast, Michelman (2007) argues that judges are already interpreting supreme constitutional law in a “non-worrisome” and “modest” way (p. 23), and adds that social rights are an extension of the rights already before courts. Michelman (2007) further points out that anyone who believes in a moral democracy, must have at least some belief in positive social support for it’s citizens. Deciding exactly which rights are important enough to be entrenched in supreme law would be the subject of considerable debate in New Zealand. New Zealand’s constitutional arrangements have served New Zealand well in the past, however significant changes can be made to strengthen certain aspects of the rule of law in New Zealand. I believe that a strong supreme law constitution, which is entrenched, is the most effective way to achieve this. What gets included and left out of a constitution is of the highest importance. Firstly, it is premature to become a republic until the Waitangi Tribunal has heard all of the historical Treaty of Waitangi claims (Potaka, 2010). While I personally don’t support a monarchy I would remain with this system, as I believe this matter is sufficiently important to warrant the public debate and necessary referenda to change an entrenched constitution, and I don’t think New Zealand is ready for a presidential style government. Secondly, the Treaty of Waitangi is argued to be of highest constitutional value to New Zealand, and is widely seen as New Zealand’s founding document. The Treaty of Waitangi/Te Tiriti o Waitangi should be the most important part of any supreme constitution. The New Zealand constitution should not attempt to interpret the treaty, the living document mentality will ensure we still have flexibility in its constitutional arrangements, and the place of the treaty might strengthen or wane depending on socio-economic or political factors (M. Palmer, 2008). Finally, I believe that social or second-generation rights should be added to a supreme constitution, including housing, social welfare rights and property rights, to reflect moral position of New Zealanders’. Exactly what specific articles would be included in a supreme constitution are debateable, however I believe most New Zealanders would support more than just civil and political rights. Any proposed constitution would need to be put to the country as a referendum. In conclusion, there are many areas of New Zealand’s constitutional law that still require considerable debate, these include whether or not to remain a constitutional monarchy, the place of the Treaty of Waitangi in the constitution and whether or not any social rights should be added to a constitution. I think we should adopt a supreme law constitution to include the judiciary in the process of determining which laws are constitutional. I believe that New Zealand should remain a constitutional monarchy until a referendum can be had on the issue and historical treaty claims have been settled. The Treaty of Waitangi is considered New Zealand’s founding document, and should be included in a supreme constitution. Furthermore, I believe social rights could be added to the Bill of Rights 1990 to reflect a growing idea of what rights New Zealanders expect as citizens. A supreme, codified, and entrenched constitution, incorporating these elements, could help create a stronger, more egalitarian New Zealand, while acknowledging tangata whenua and the partnership between Pāhekā and Māori. Barrett, M., & Connolly-Stone, K. (1998). The Treaty of Waitangi and Social Policy. Social Policy Journal of New Zealand, (11), 29. Bill of Rights Act 1990. Cox, N., & Miller, R. (2010). Monarchy or Republic? In R. Miller (Ed. ), New Zealand government and politics (pp. 130–144). South Melbourne, Australia: Oxford University Press. Gargarella, R. (2011). Grafting social rights onto hostile constitutions. Texas Law Review, 89(7), 1537–1555. Iati, I. (2015). New Zealand in the world. In J. Hayward (Ed. ), New Zealand government and politics (pp. 50–59). South Melbourne, Australia: Oxford University Press. Mahuika, A. (2010). A Ngāti Porou Perspective. In M. Mulholland & V. M. H. Tawhai (Eds. ), Weeping waters: the Treaty of Waitangi and constitutional change (pp. 145–163). Wellington, New Zealand: Huia Publishers. Michelman, F. I. (2007). The constitution, social rights and liberal political justification. In D. Barak-Erez & A. M. Gross (Eds. ), Exploring social rights: Between theory and practice. Oxford ; Portland, Or: Hart. Mulholland, M., & Tawhai, V. M. H. (Eds.). (2010). Weeping waters: the Treaty of Waitangi and constitutional change. Wellington, New Zealand: Huia Publishers. Mutu, M. (2010). Constitutional Intentions: The Treaty of Waitangi Texts. In M. Mulholland & V. M. H. Tawhai (Eds. ), Weeping waters: the Treaty of Waitangi and constitutional change (pp. 13–40). Wellington, New Zealand: Huia Publishers. Palmer, G., & Palmer, M. (2004). Bridled power: New Zealand’s constitution and government (4. ed). South Melbourne, Australia: Oxford Univ. Press. Potaka, T. (2010). Legislation and the Legislature. In M. Mulholland & V. M. H. Tawhai (Eds. ), Weeping waters: the Treaty of Waitangi and constitutional change (pp. 83–108). Wellington, New Zealand: Huia Publishers. Search and Surveillance Act 2012. Waikato-Tainui Raupatu Claims (Waikato River) Settlement Act 2010. Whelan, A., & Cook, B. (1997). New Zealand Republic. Wellington, New Zealand: Niu Pacific Limited.